Have you and your kids fallen in love for unicorns as we have? Unicorns are so magical and innocent; how can they not be popular? They are usually fluffy looking, multi-colored, each unicorn horn is full of magic nothing else can compare to. In today’s world, there aren’t many stores that don’t carry something that incorporates unicorns somehow. Snacks, stationary, clothing, accessories, etc. 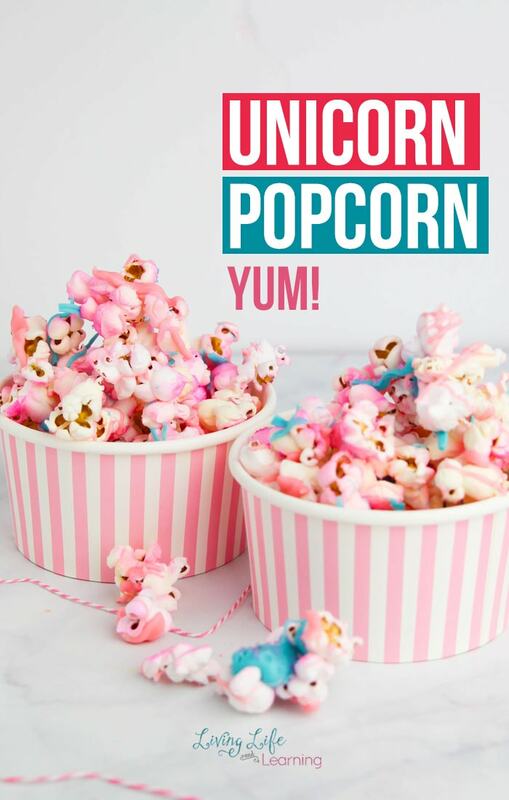 Unicorns are everywhere, and my kids eat it up! 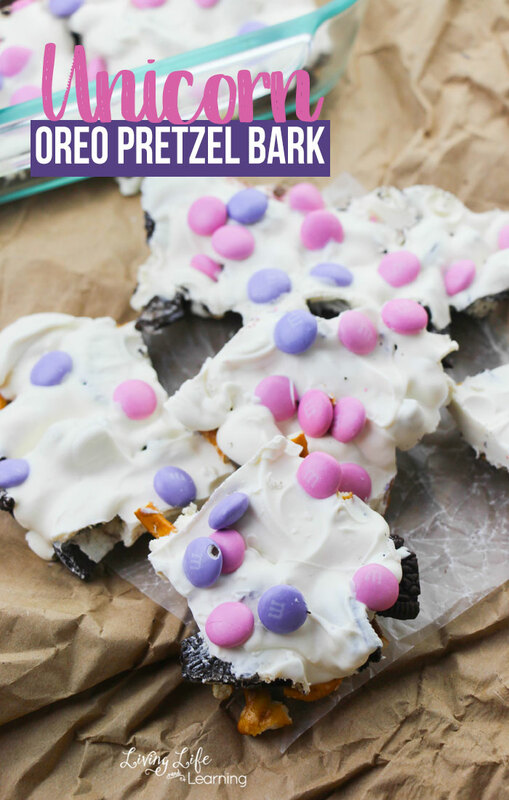 We also eat up this absolutely delicious Unicorn Oreo Pretzel Bark recipe. I mean doesn’t that just sound yummy? These aren’t quite as innocent as unicorns are but the magic and love are in every bite! Each bite has a variety of flavors and textures that mesh together better than many treats I have had lately. 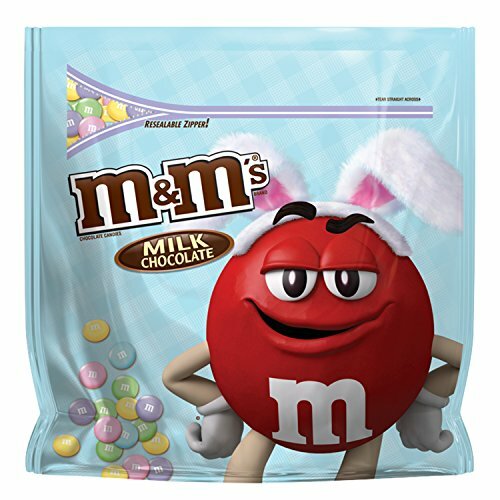 There’s the smooth candy melt, crunchy pretzels and cookie pieces, and the melty M&Ms. 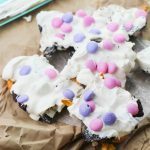 If you are a sucker for a sweet indulgence, you’re going to want this Unicorn Bark in your life pronto! You will love this M&M Oreo pretzel bark recipe and there’s so many ways you can dress this up. Doesn’t this just look delicious? It is worth every minute that it takes to make. Which surprisingly, for as delicious as it is – doesn’t take that long! 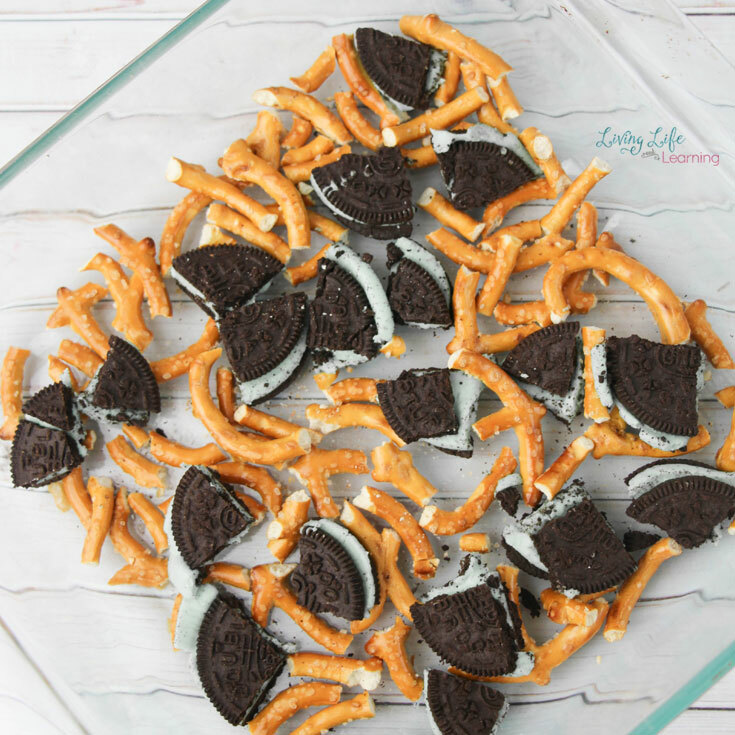 Crush pretzels and Oreos into 1″ bite-size pieces. 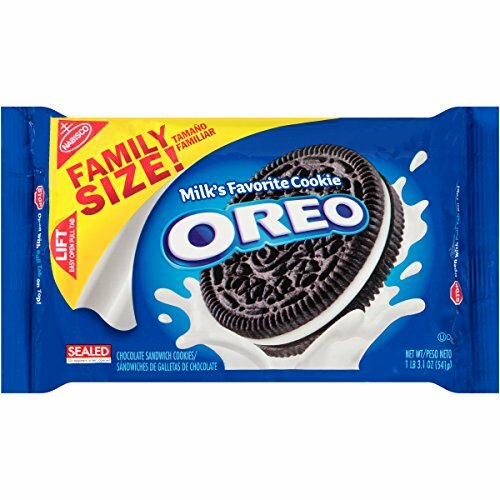 Arrange the Oreos and pretzels in the bottom of an 8″x8″ casserole dish in an even layer. 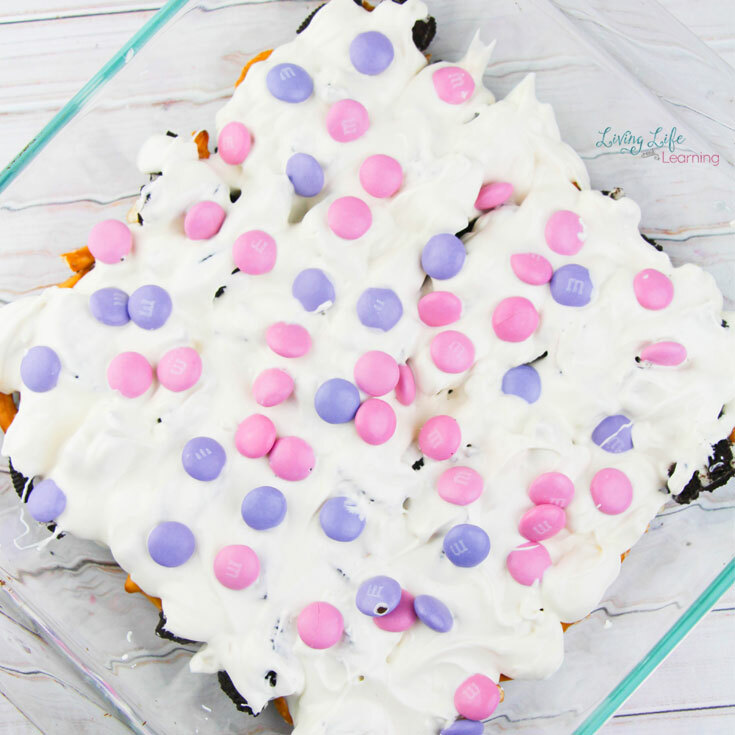 Place the candy melts in a microwave-safe bowl and heat in 25-second increments, stirring well in between each heating. 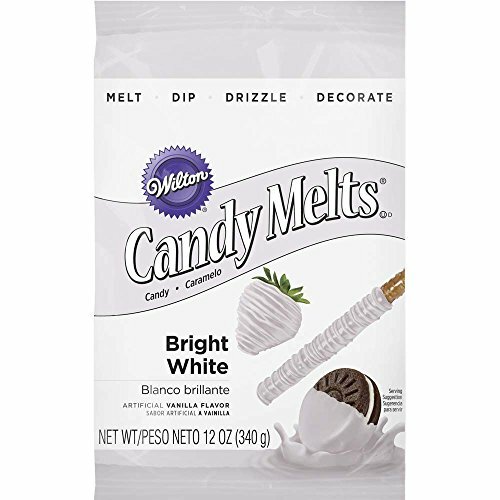 Once the candy melts are completely smooth and melted, pour evenly over the candy melts and smooth with an offset spatula. Once completely set, break into small squares. A Random Monday or Tuesday or Wednesday… you get the point. 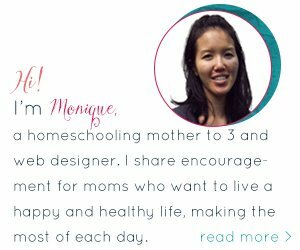 Since I am familiar with picky eaters, I thought of some alternatives that would be just as good mixed in. 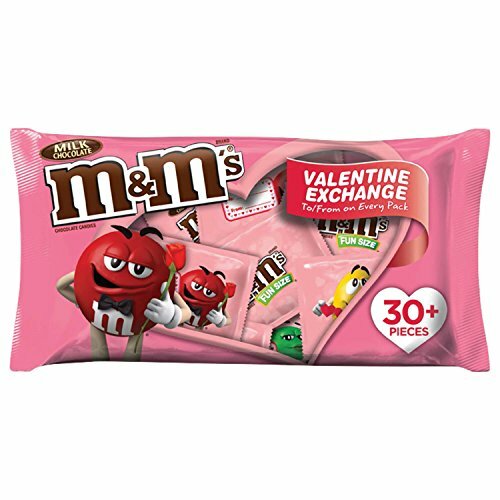 You could also add color to the candy melts and include or exclude the M&Ms.